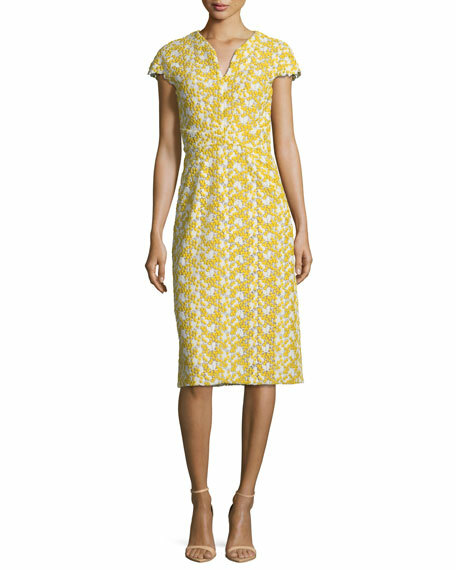 Zac Posen cocktail dress in mimosa-flower lace. Approx. 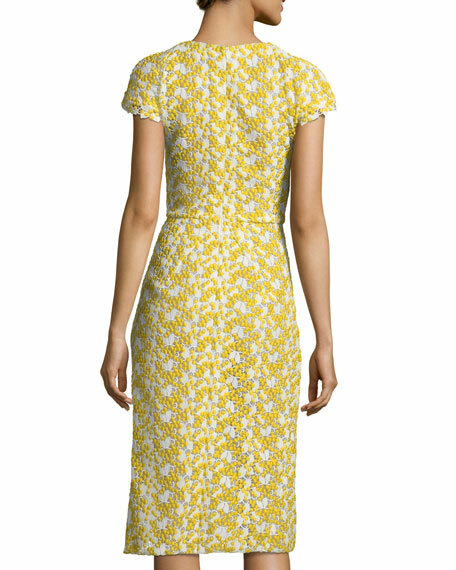 40.5"L from shoulder to hem.